Mariaestela in Sacred Conversation with Alexis P. Morgan about Asetru & Vodoo. African American writer Alexis P. Morgan may not carry a physical sword but her words cut clear into the heart of the matter and when I realised that the woman behind such powerful words was founded in the old Northern Folkways of Asetru as well as Vodoo, I could not help but ask the question how on earth did that happen? 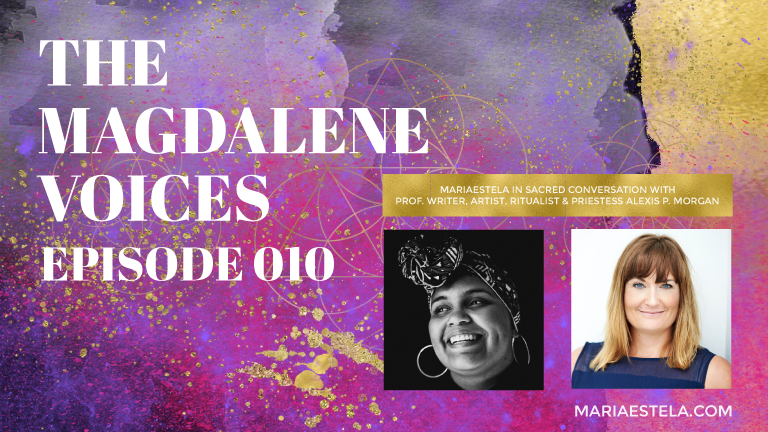 In this episode of The Magdalene Voices Alexis shares openly with us how the nordic faith of Asetru literally hit her on the head and then dragged her almost kicking and screaming into it, as is often the case for many of us when God (or whatever you want to call it) calls. 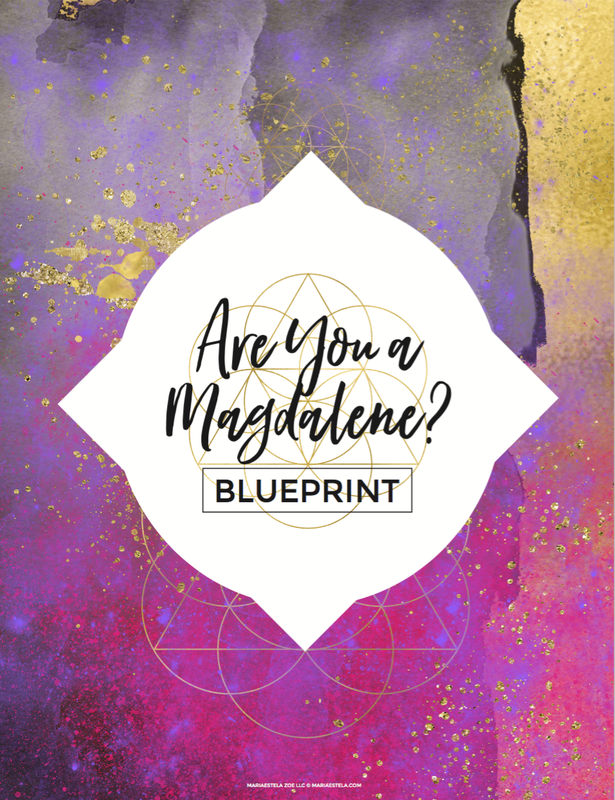 I invite you to join us as Alexis graciously shares not only her journey, but also enormous wealth of knowledge and wisdom about two, perhaps lesser known, faiths and how she practices these. Why and how, she an African American woman converted to Asetru in 2013. How she world walked within when she was unable to practice openly. How the terms God or Goddess as well as the Christian faith did not vibe with her. The resonating answer to the profound question of how her ancestors survived what was seemingly unsurvivable. How christianity is part of whitenesses problem. The colonialism, protecting and validating colonialism as well as the spread of Christianity for the protection of the soul of “heathens”. What part Vodoo plays in her practice. How practicing a faith that at its core practices animal sacrifice has made Alexis more vegan and conscious about our animal kingdom, agriculture and planet as a whole. How lots gets taken out of context and painted as evil or heathen largely because of assimilation and because white people are afraid of black people who have power. The function of violence and how we haven’t assigned a healthy place to it. How giving voice to anger creates freedom. “If You Want To Be A Witch” by Edain McCoy, which you can find here*. Article with Sallie Ann Glassmann which you can read on Vice here. Magic Teacher Josephine McCarthy whom you can find here. The Earthseed Series by Octavia Butler which you can find here*. *Please note that the links marked with * above are affiliate links and that I may, should you choose to purchase one or more of the books, receive a commission. If you wish to avoid this, google the titles and authors rather than clicking the link. Loved what you heard? Click here to subscribe on iTunes. Alexis P. Morgan is the pole-dancing, sword-wielding, democratic socialist, on-the-low-heaux sorceress you’ve been warned about. She makes her cheddar as a professional writer, facilitator, artist, ritualist, and priestess. Devoted to Truth, Justice, and Liberation, she lives in the spirit of her foremothers before her: Unbossed. Unbought. Unbothered. thechurchofsaintfelicia.com & on Facebook here. 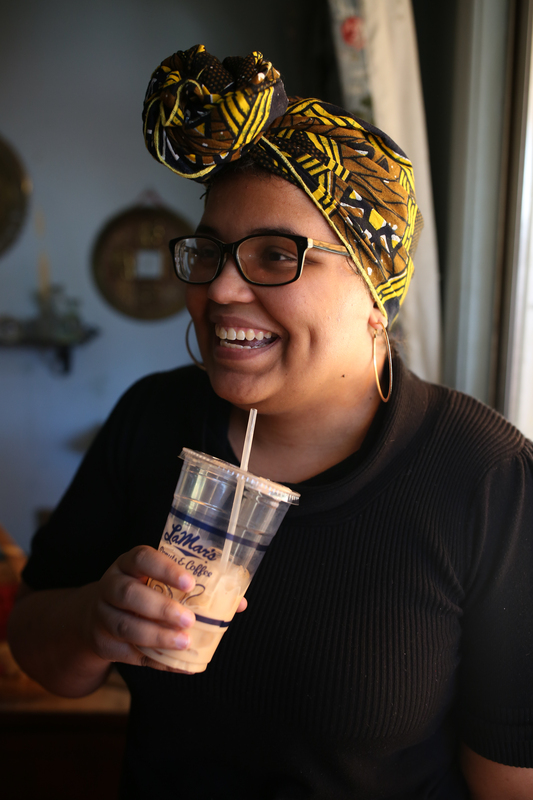 – And on Patreon here you can support Alexis by becoming a monthly subscriber to her words. OVERWHELMED BY A MILLION GREAT IDEAS? Not sure which to start with or where to begin? With Divine Clarity & Inspired Action you’ll know not only exactly what to begin with but also exactly what first step to take.